This is our flagship high-performance PC based on Intel's latest X299 chipset and LGA2066 architecture. For customers who demand the highest performance combined with minimal running noise, look no further. Intel's mainstream LGA1150-based processors offer tremendous power and value for money, but for demanding customers, there's another choice - the LGA2066 platform. Aimed at PC professionals, enthusiasts and the PC server market, Intel's Skylake-X Refresh architecture offers performance like no other. As the saying goes, it's the best that money can buy. Of course technology like this doesn't come cheap, but if you have a specific reason to demand the most powerful processing available, choosing a Skylake-X machine will pay dividends over and over. Our finest workstation PC is based on Intel's latest X299 chipset and LGA2066 Skylake-X Refresh processors. The X299 platform demands the use of DDR4 memory which represents the biggest leap forward in memory performance in several years. This, combined with an unprecedented number of processor cores, gives speed in spades. We can't promise you the world's most frugal PC, but we can promise you best-of-breed PC component technology picked from the world's leading brands including Intel, ASUS, Corsair and Samsung. Although it offers monster performance, the X490 is surprisingly easy on the eye. 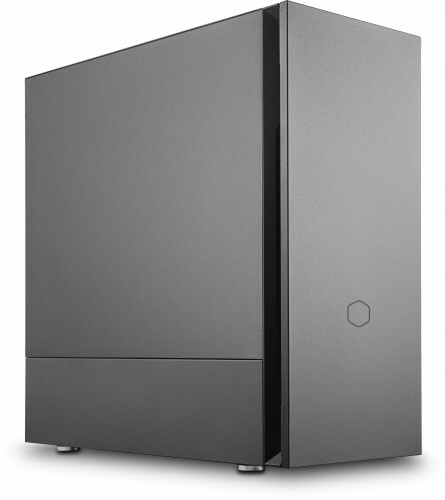 The chassis framework is made from high strength steel and is housed within a beautifully finished extravagant aluminium chassis which is both elegant and highly practical. 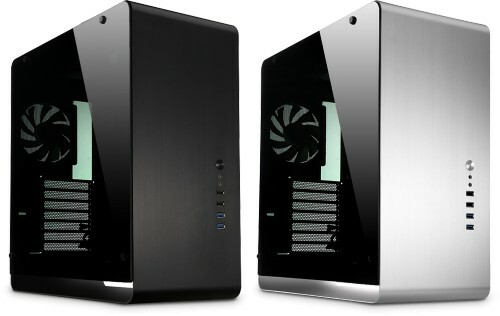 We even offer a windowed version of the case so you can admire the attention to detail on the PC's internals. Of course, being from Quiet PC you can be assured of quiet running. Unlike many big-name PC manufacturers, we pay careful attention to thermal design engineering and our PC systems are built accordingly. Just because it's a high performance system, we don't assume that it's going to be packed away in a noisy server room where acoustic performance is irrelevant. We don't offer the X490 in a fanless configuration because its processors run too hot to allow a fully passive cooling system to be used, but we do offer highly efficient and noiseless air cooling, and under normal circumstances you won't be able to hear that the PC is even switched on. As an example of a 'heavy lifting' PC which is clearly so focused on raw processing performance, you might expect it to be a little user-unfriendly in some areas. It's true that the processor doesn't have built-in graphics so the PC needs its own dedicated graphics card. This isn't necessarily a bad thing but some customers might find it surprising given that Intel has been really pushing on-die CPU graphics in recent years. However, for the LGA2066 chips, their gargantuan amounts of cache memory and number of processor cores mean that there simply isn't room to include a GPU on the processor silicon. Using a discrete graphics card opens up a world of options, from economical fanless cards with multiple outputs to dual or even triple high-end 3D graphics cards setup in SLI or Crossfire configuration, graphics performance is as equally as impressive as processor performance, And because we use a Intel's latest processors the X490 supports up to 44 PCIe lanes, to provide even more bandwidth between the motherboard and connected devices. For high-intensity computing tasks, we offer DDR4 memory configurations up to 128GB in size. Never has such performance been available at such a low price. WD Green 120GB SATA 2.5in Solid State Drive ? WD Green 240GB SATA 2.5in Solid State Drive ? Seagate BarraCuda 1TB 2.5in 7mm Hard Disk Drive HDD ? Seagate FireCuda 2.5in 500GB Solid State Hybrid Drive SSHD ? Samsung 860 EVO 250GB 2.5in Solid State Drive ? 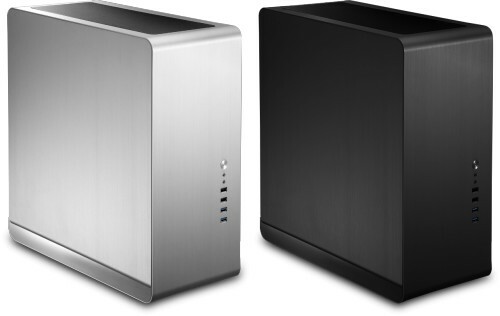 Seagate FireCuda 1TB 2.5in Solid State Hybrid Drive SSHD ? Samsung 860 EVO 500GB 2.5in Solid State Drive ? Samsung 860 PRO 256GB 2.5in Solid State Drive ? Seagate FireCuda 2TB 2.5in Solid State Hybrid Drive SSHD ? Seagate BarraCuda 2TB 2.5in 7mm Hard Disk Drive HDD ? Seagate BarraCuda 3TB 2.5in 15mm Hard Disk Drive HDD ? Samsung 860 QVO 1TB 2.5in SSD Solid State Drive ? Samsung 860 EVO 1TB 2.5in Solid State Drive ? Seagate BarraCuda 4TB 2.5in 15mm Hard Disk Drive HDD ? Samsung 860 PRO 512GB 2.5in Solid State Drive ? Seagate BarraCuda 5TB 2.5in 15mm Hard Disk Drive HDD ? Samsung 860 EVO 2TB 2.5in Solid State Drive ? Samsung 860 PRO 1TB 2.5in Solid State Drive ? Samsung 860 PRO 2TB 2.5in Solid State Drive ? Samsung 860 EVO 4TB 2.5in Solid State Drive ?